The name Topolino means little mouse in Italian and is actually what they call Mickey Mouse in Italy. The Topolino was named because the early versions have head lights that sprouted from the fenders like Mickey Mouse ears. And this next one has an awesome set of whisker-headers to complete the mouse look. 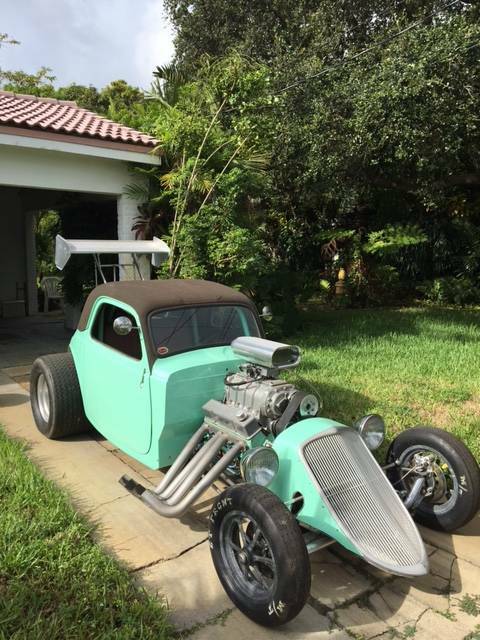 Find this 1948 Fiat Topolino offered for $15,000 in Miami, FL via craigslist. Tip from Rock On! 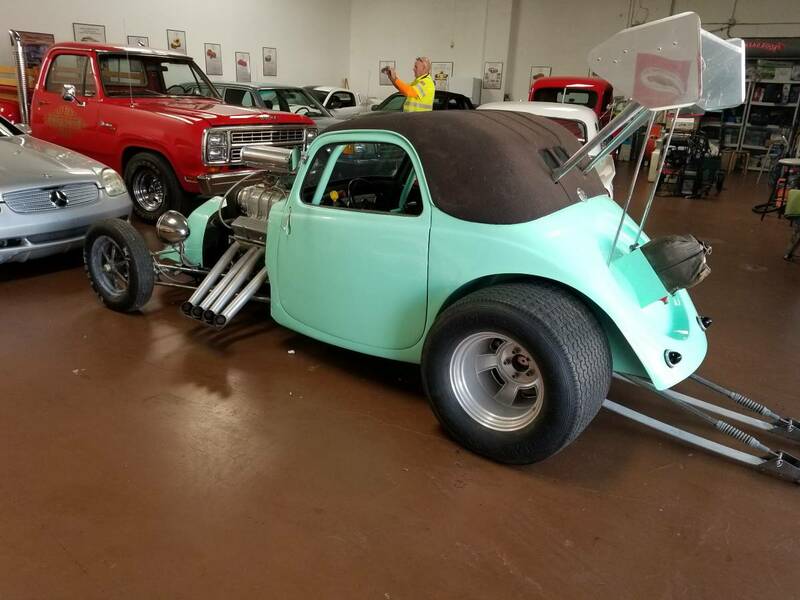 1948 Fiat Topolino drag/pro street/show car small block 393 Inch Chevy Stroker Motor. 671 blower, 9 inch ford rear end, 4 wheel disc brakes, wheelie bars, dragster wing, spindle mount front wheels, everything is highly detailed and either chrome or polished. App.500 miles on entire vehicle since built. Vertex Magnet, Chrome Intake Manifold. Starter Motor. Water Pump and Valve Covers Extensive Head Work and Oversize Valves,Competition Cam-Shaft, Heavy Duty Modified Chevy Transmission with Large Chrome Pan - built to 1000 HP Capability, Chrome Narrowed Ford 9 Inch rear with Strange Axels, Wheelie bars and Parachute, Rear Kill Switch, All Chrome Front End and Springs, Mercedes Benz Electric Cooling Fan, Custom Headers, Full Roll Bar, Fiberglass doors. 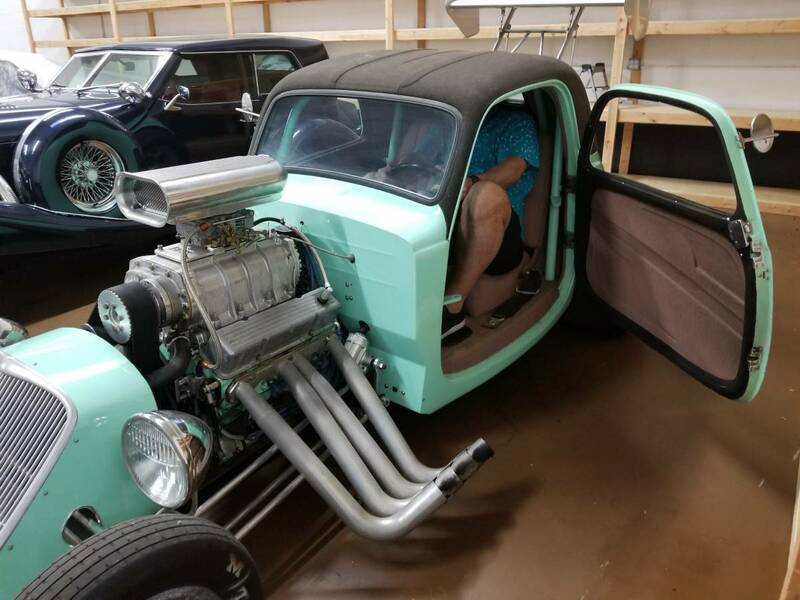 Large Chrome Headlights, Fully Upholstered Interior, Stainless Steel Gas Tank, HD electric Fuel Pump, New 4-barrel carburetor installed for Street Use, Rear Custom Stainless Steel Wing, Tachometer and Full Instrumentation, Chrome Tire rims. Perfect car to pull up to you high school reunion in!